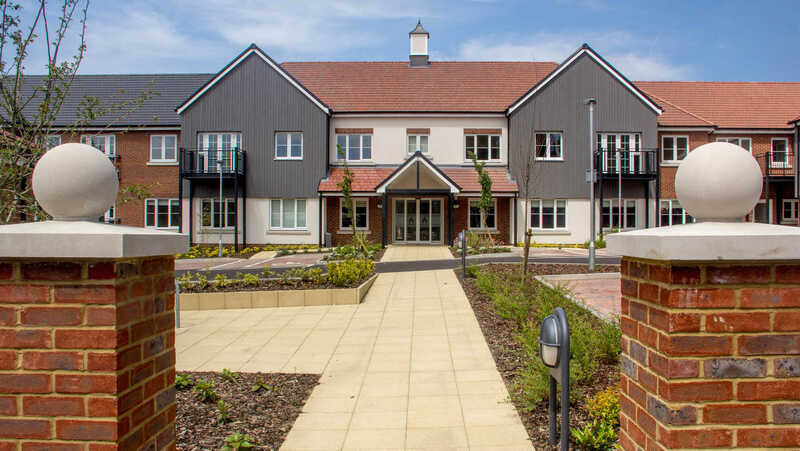 At Eaves Court we offer a range of one and two-bedroom leasehold apartments, offering you an array of choice when looking for your perfect new home. Please see our Making the Move page for information on service charges and the fees payable when the apartments are re-sold. All layouts and dimensions are for illustrative purposes only. All movable furniture shown in the layouts is for illustrative purposes and is not included. The Beresford apartments at Eaves Court are spacious two bedroom apartments. 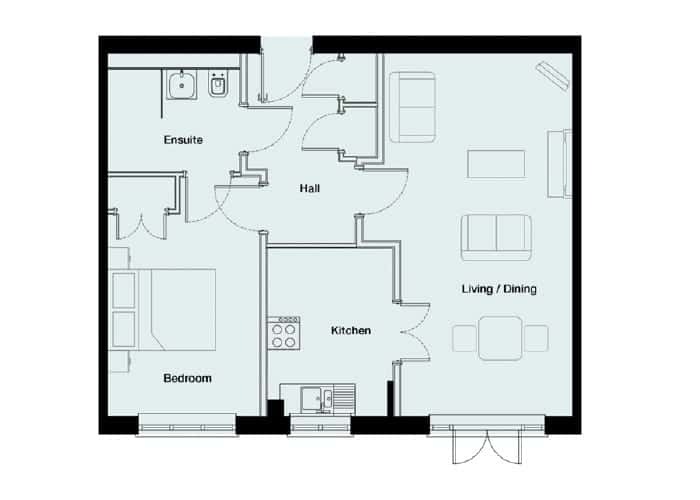 Typical floorplan shown. 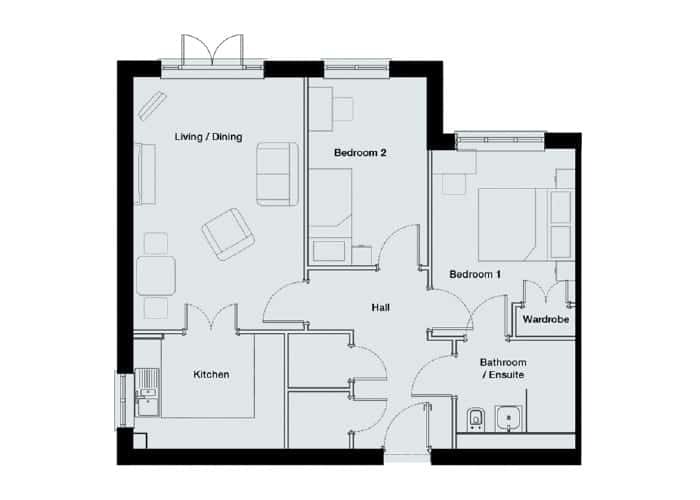 The Campion apartments at Eaves Court are spacious one bedroom apartments. 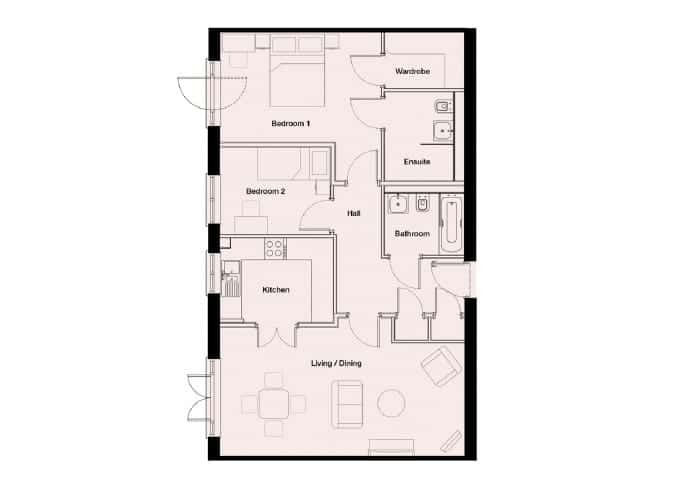 Typical floorplan shown. 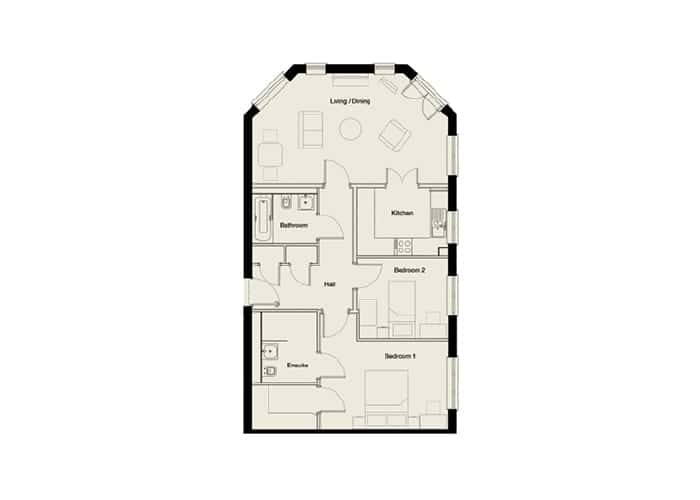 The Fletcher apartments at Eaves Court are spacious two bedroom apartments on the first floor. 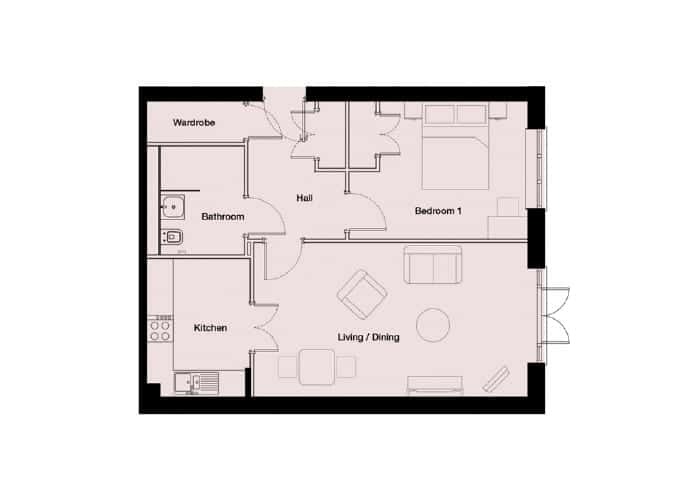 Typical floorplan shown. The Hart apartments at Eaves Court are spacious two bedroom apartments. 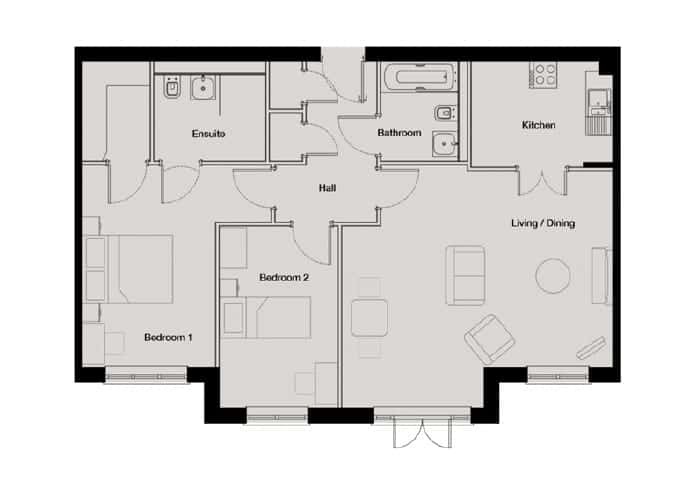 Typical floorplan shown. 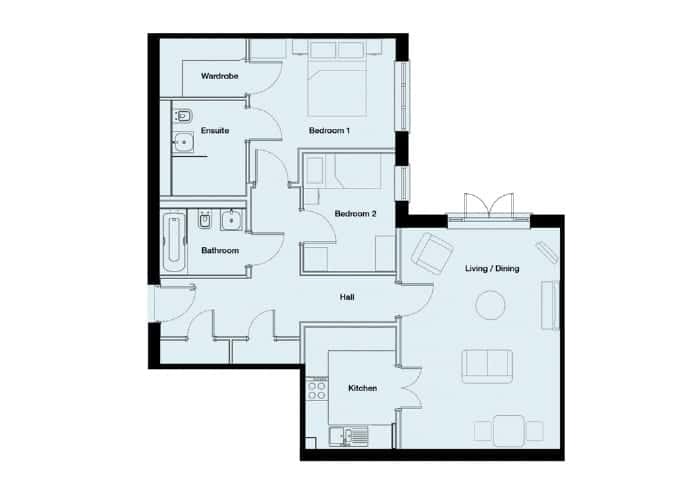 The Marlowe apartments at Eaves Court are spacious two bedroom apartments. Typical floorplan shown. The Peabody apartments at Eaves Court are spacious two bedroom apartments. Typical floorplan shown. The Rawlins apartments at Eaves Court are spacious one bedroom apartments. Typical floorplan shown. The Thorndyke apartment at Eaves Court is a spacious one bedroom apartment on the lower ground floor. Typical floorplan shown. 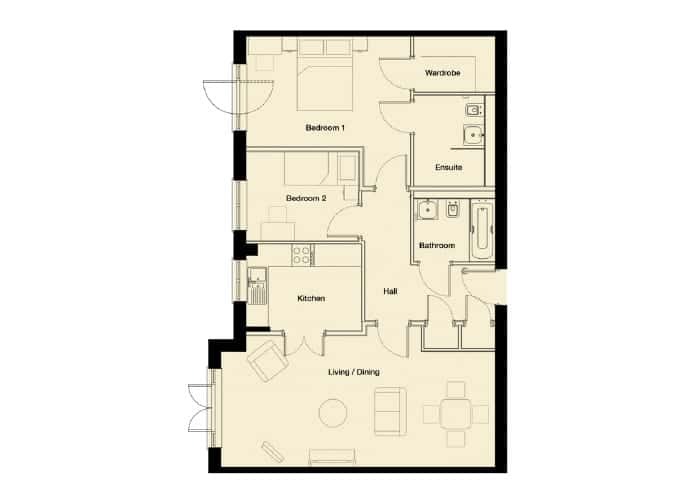 The Trent apartments at Eaves Court are spacious two bedroom apartments. 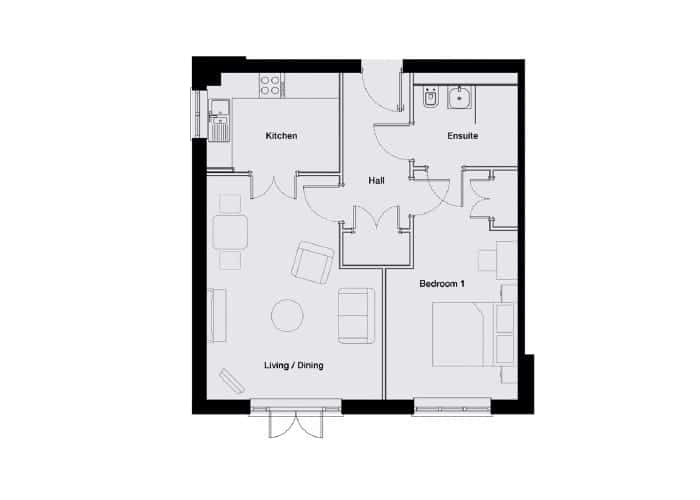 Typical floorplan shown.